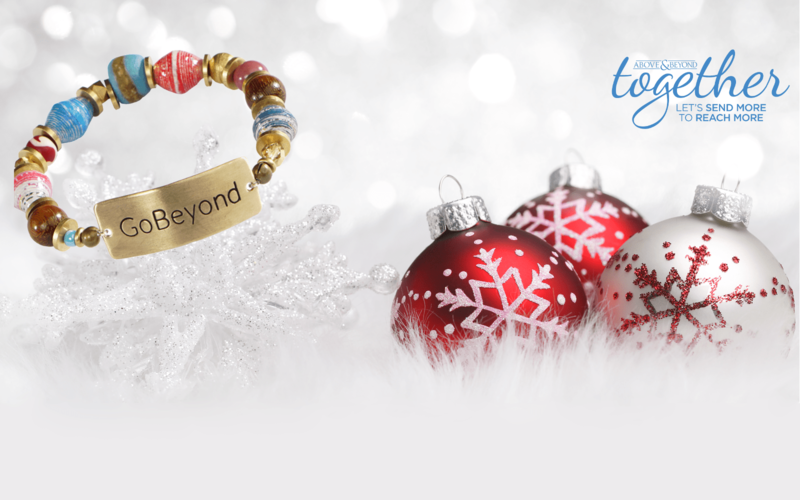 Our beautiful handcrafted GoBeyond Global bracelet or leather 1" cuff are available for a one-time donation of $25.00 Each piece is created by vulnerable women in Charlotte being strengthened by our friends at Fashion & Compassion ministries. 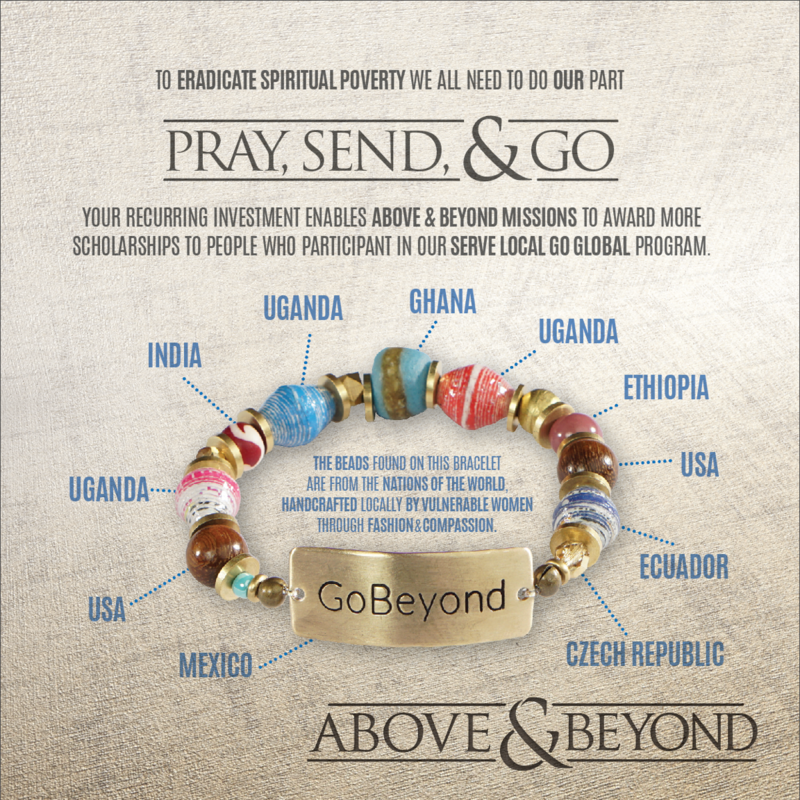 The GoBeyond beads are from 8 nations and the GoBeyond stamp is made by missionaries in Mexico. Together, let's send more to reach more.